Save time and stress with the Return Address Printing Service! No need to write your address over and over, just simply have us print it directly on the envelope - with several designs to choose from! After you are done picking out and designing your stationery, it deserves a stylish sendoff to friends and family! 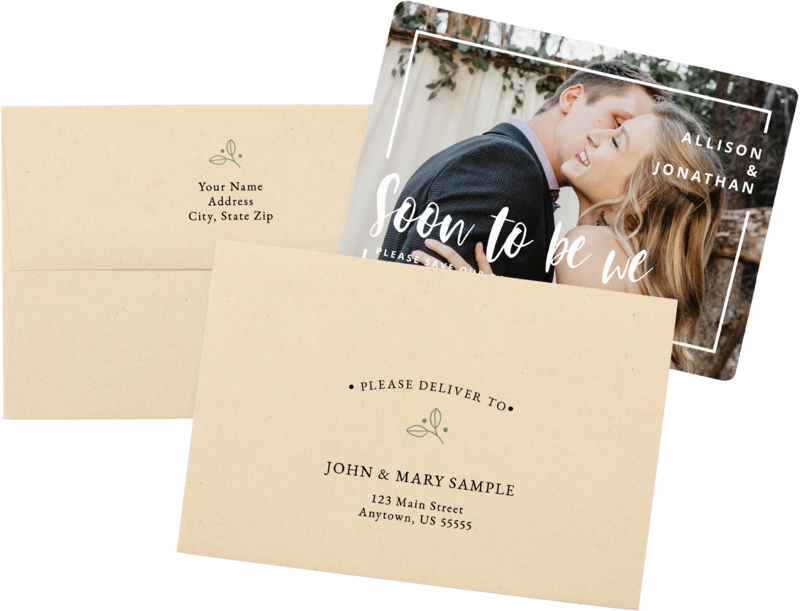 Envelopes, envelope liners, labels, and address printing services offer that final personal touch—and will have guests eager for your upcoming wedding day. Plus, we can address both your recipient and return envelopes, so you can focus on all the details of planning your wedding day. Choose from a variety of gorgeous font combinations, styles, and colors that suit your style. Mailing envelopes are included with each Wedding Stationery product. 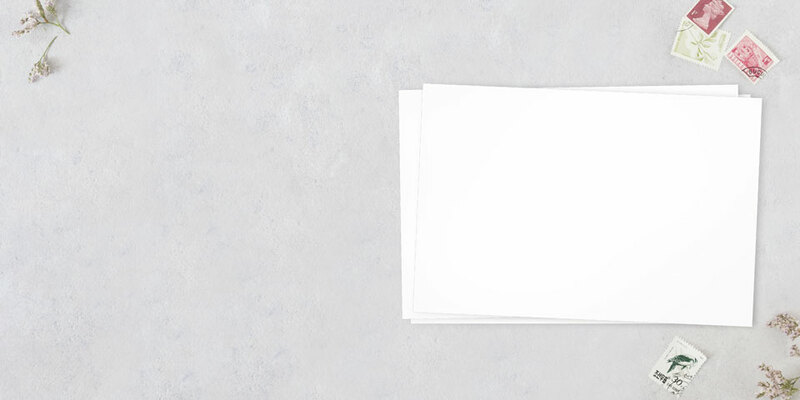 However, if you need extra envelopes - or would like to use a different envelope type - you can use this page to quickly find the envelopes you need to order. Below you will find quick links to all of the envelopes available for each Wedding Stationery product.